NTT Inc. - Why is OSHA Important? In 1970, Congress enacted a federal law called the Occupational Safety and Health Act which has since been used to oversee health and safety matters in the private sector of the United States industrial workforce. Since that time, OSHA has been of prime importance in ensuring a safe and hazard free environment for workers. Before OSHA was created, there were very few safeguards in place for ensuring worker safety. The use of machinery had grown with the American industrial system of mass production. During that time, it was actually considered easier to replace a worker who had been injured or died with another one rather than provide safety regulations that would help protect the workers. In addition, there was very little that the injured workers or their family could do in terms of getting relief for the losses incurred. With the increase in the sale of life insurance, some improvement was made in the work environment. But the conditions were still quite grim. Thus, there arose a sentiment that more needed to be done to ensure worker safety and this sentiment grew. The 1893 safety appliance act was the first statute which emphasized the need for health and safety in the workplace, although the law was only applicable to railroad equipment. Then in 1910, a series of mine explosions and collapses caused widespread alarm and the few voices become a loud chorus. A new order was passed to investigate the safety of mines and ensure the workers who had to go down them were kept as safe as was possible. During that time, the trade unions also passed a worker compensation ruling which added an impetus for employers to add safety features to factories. The passage of such rulings were slowly building up to a national realization that there needed to be a law in place to govern the health and safety issues relating to the workplace. The passing of the OSHA act in 1971 was itself a matter of some controversy at the time. Many employers protested that adding and maintaining safety features to factories would add an exorbitant amount to existing costs. There was also much discussion about which sectors of the industry would fall under the jurisdiction of OSHA. Since that time, the organization has done great work in ensuring factories are up to standard. There are certain safety standards which apply to every industry. OSHA personnel demands access to records of medical and toxic substances which are exposed to the environment. Equipment must be provided to workers to protect them against hazards present at the workplace, in addition to instructing them in their proper use. A material safety data sheet must also be provided to customers in case of use of potentially hazardous materials. Dealing with such hazardous materials will also require training that must be provided by the employers. Employers must maintain a record if they hire more than 10 employees throughout the year. The records must carry lists of employee illnesses, injuries, and fatalities. These records should be allowed to be accessed by OSHA as well as state health and safety offices, and the Bureau of Labor Statistics. In cases where more than three members of the staff are killed or hospitalized, the incident must be reported. The records will be analyzed by OSHA and workplace hazards identified that need to be corrected or even removed. It is also OSHA’s prerogative to ensure that the standards it has applied to different industries are properly enforced. For this to occur, the roles of the compliance safety and health officers are elaborated, who are in charge of such enforcement. The officers are trained in health and safety standards and visit factories for routine inspections and in response to complaints. OSHA also ensures that no retaliation takes place against the complainant. OSHA provides information to industry workers to make them aware of their rights in terms of safety at the workplace through seminars and training courses. 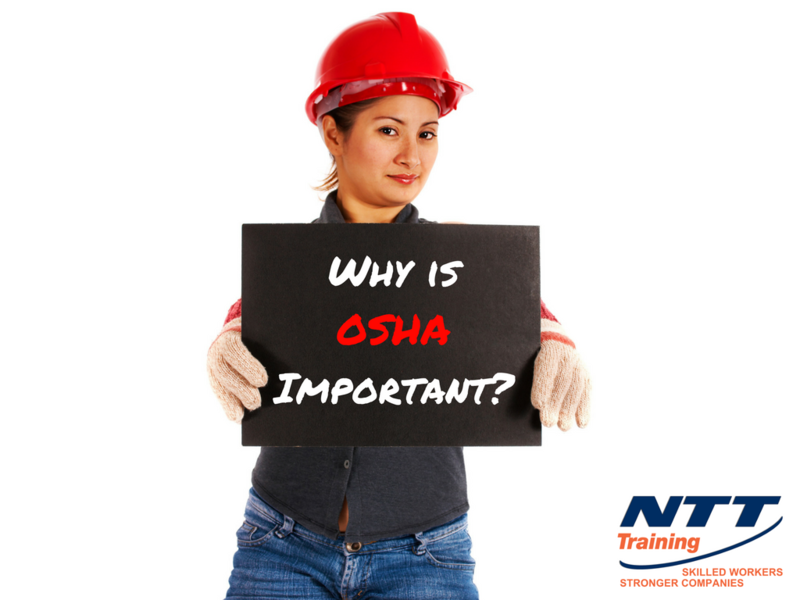 If you’d like to learn more about OSHA rules and regulations, feel free to contact NTT today to take the next step.